If you are still using Windows XP on your system and want to upgrade to Windows 7 or Windows 8, you can download free ebook with step by step instructions at the end of this post. After a long time, Windows Operating System changed for good, disapproving a timeworn formula that Windows is equals corporate, boring while Apple signifies cool, creative and hip. Windows 8 has made many of us unlearn that. 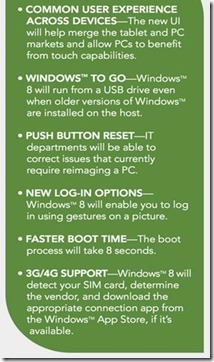 Need more reasons to do away with old fashioned Windows XP? Check this and see for yourself. 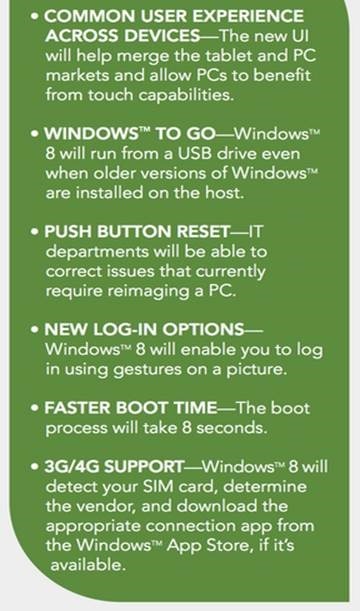 But since Windows 8 won’t support a straight upgrade from Windows XP, you will need to do a ‘custom install’ by re-installing all device drivers and applications that have been currently installed. For some hardware, you may need updated drivers and the upgrade compatibility wizard of Windows 8 will tell you what’s compatible and should be removed to complete the upgrade. There are certain important things that you need to take care of before proceeding with an upgrade. First things first, take a backup of all important data. Since Windows XP has limited backup options, it’s advisable to seek a third-party solution or professional assistance for restoring Windows XP in case Windows 8 installation doesn’t succeed. You should always consider a worst case scenario. Since you are using Windows XP, the 32 bit Windows 8 version will be perfect. You can use 64 bit only if you have 4GB RAM and an overall burly system configuration. Insert your physical DVD of Windows 8 and let the setup begin automatically. When the setup has launched, you can choose to go online to install updates. Click ‘No, thanks’ if you don’t have an Internet connection. Product key has to be made available at the time of installation if you have bought Windows 8 from a Microsoft store and have the Upgrade Assistant. Click ‘Next’ to continue after you’ve entered the product key and accept the user license agreement. ‘Keep personal files only’ is an important option and part of the setup process that helps you keep all your personal files intact on your system; click on it. You will have to reinstall your current drivers and programs for hardware devices. And if you select ‘nothing,’ your files will be placed in Windows.old folder by Windows 8 operating system. Windows will carry out some final checks once you have clicked ‘next’ after choosing any of the given options. Make sure you check the summary screen to review all changes that are displayed on the system. 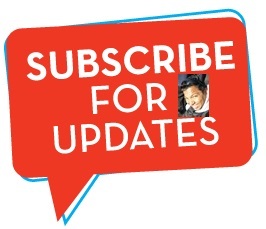 Click ‘Back’ to go back and make changes in case you are not sure. You can’t use your system during Windows upgrade and the total time of completion will depend upon processor speed, data set and memory. You can click ‘Install’ to start with Windows 8. The setup will restart several times and take a full-screen mode. The setup will continue after restarting and move your settings. You can choose a color you like to setup and personalize your Windows experience. Also, the settings options will allow you to customize Windows in order to ensure smooth running by clicking ‘Use express settings. When you click customize, Windows will finalize your settings. After final configuration is complete, Windows 8 will be ready for use. After your successful migration to Windows 8, you can ascertain that all your files are in place by launching Windows Desktop app. Enjoy your new windows. Author Bio: Henry Chow is a managing director of an IT company – Motionwave Technologies. The company Motionwave Technologies started in 2010. They offer IT support at fixed monthly fee with unlimited support.